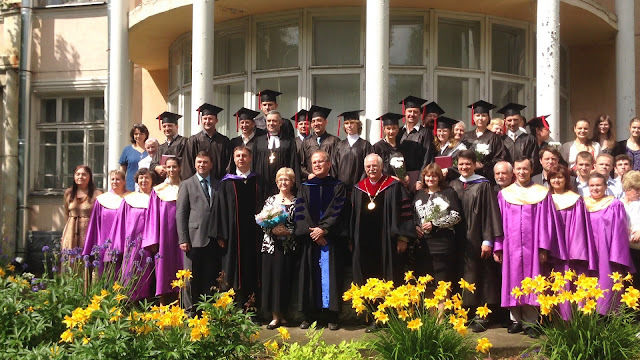 Yesterday after the morning service at Temple of the Gospel, the St. Petersburg Evangelical Theological Seminary* held its graduation service. It was so inspirational. The medallion is of the symbol of the seminary. They are singing a hymn of worship. As you can see - if you look closely - they gave me a bouquet of flowers! AND they gave us a beautiful plate from St.Petersburg. What a wonderful experience we had. to have been a part of such an exciting part of God's kingdom. Now we're at the airport in St. Petersburg waiting for our flight to London to be with Will and Bailey. To say we're excited to see them would be an understatement! I hope you're having a great day, too. 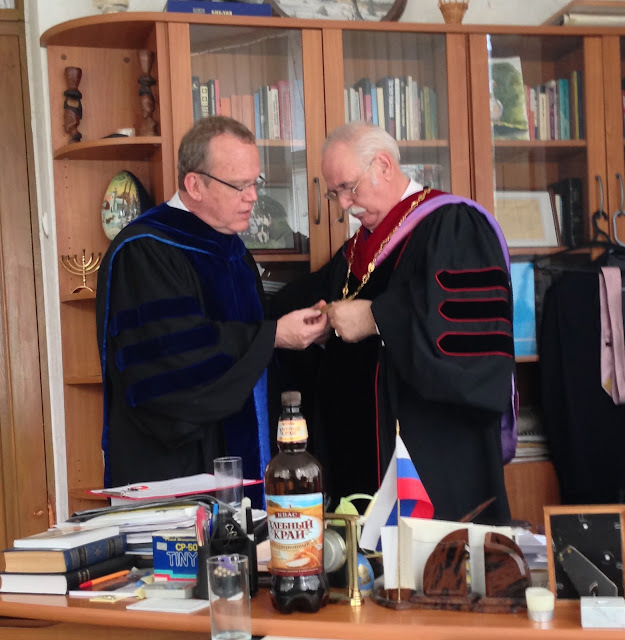 *We are in St. Petersburg, Russia (May 23- June 10) where my husband Sam is a visiting lecturer at the St. Petersburg Theological Seminary. He taught Hermenuetics (Principles for Interpreting the Bible) the first week and "The Problem of Suffering in Six World Religions (including Christianity)" the second week. So wonderful! Maybe nxt time we can come with you!